The holder of a BA from Samford University, Michael Mullis is the managing partner of wealth management firm Kelley & Mullis Wealth Management. Based in Birmingham, Alabama, Michael Mullis helps clients to develop financial investment plans and stick to them to ensure their long term financial health. Stock market downturns can rattle even the most experienced investors. However, they should not keep you from making a financial investment plan for you and your family’s benefit. Equally important, a downturn should never push you to abandon an existing plan. Here’s why. Studies have shown that the longer a portfolio remains in the market, the less volatility it experiences and the more wealth it accumulates. Looking at data from the past seven decades, the markets have recorded positive returns for seven out of every ten years. That means investors who stayed in the market longer accumulated more wealth. This does not mean that downswings will not happen. They will. It also does not mean that once your financial plan has been created, it should be left unchanged for decades on end. On the contrary, any plan should be reviewed annually or when a life-altering event happens. What all this does mean is that you should develop the mental toughness to stick to your financial plan even when the market swings downward, because the statistics are solidly in your favor. For more than a decade, Michael Mullis has worked in the finance industry in Alabama. 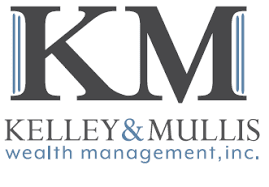 A managing partner at Kelley & Mullis Wealth Management in Birmingham, he has won numerous awards throughout his career and has established a strong reputation for giving personal attention to clients. One of the many services provided by Michael Mullis and his firm is college and education planning that focuses on 529 plans. 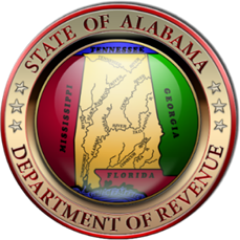 Alabama offers two 529 plans to residents: the CollegeCounts 529 Fund Advisor Plan and the CollegeCounts 529 Fund. Both of these plans are managed by Union Bank & Trust Company and are designed to help adults build college savings through flexible investment options. The plans are technically the same; however, the CollegeCounts 529 Fund Advisor Plan is sold through a broker who can provide individuals with assistance and advice related to the plan. The CollegeCounts 529 Fund is sold by state agencies. When choosing an investment, people with either type of CollegeCounts 529 Fund can choose from six target portfolios, 26 individual fund portfolios, or three age-based options to ensure they find the best investments for their situation. Investors who own a CollegeCounts account also have complete control over the account and can change the beneficiary, change their investments, and direct where withdrawals go from their online accounts. Aside from saving for college, a CollegeCounts 529 Fund comes with several benefits. Individuals can have an account balance of up to $400,000 and are free to use the money at nearly any accredited college or university in the country. There are no age restrictions for contributions or withdrawals, nor are there any income restrictions connected to the account. Account owners are also eligible for a state income deduction of up to $10,000 for married couples who both contribute to the fund. 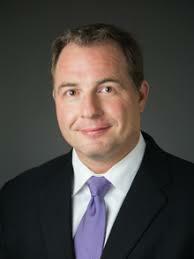 Michael Mullis is an award-winning financial advisor and managing partner with Kelley and Mullis, a wealth management company based in Birmingham, Alabama. Over the course of his career, Michael Mullis has been recognized several times, including as one of Alabama’s top 50 financial advisors and as a part of Birmingham Business Journal’s Top 40 Under 40 list. The Top 40 Under 40 issue of the Birmingham Business Journal is consistently the magazine’s most popular of the year. Winners are nominated by the public and have tangible, specific accomplishments to their name that demonstrate their leadership abilities within the business context as well as within their community. Each year, the winners are acknowledged at an event. The list typically includes entrepreneurs as well as executives leading teams at major firms. Previous winners include Stacey Davis, a screenwriter who runs her own law firm, and Will Pearson, who leads the media company Mental Floss.